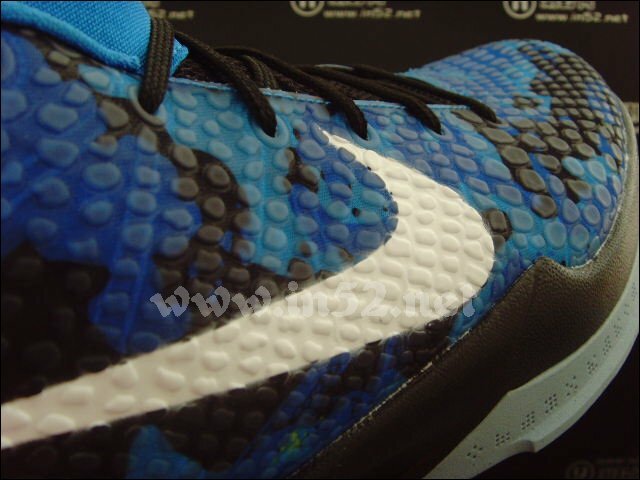 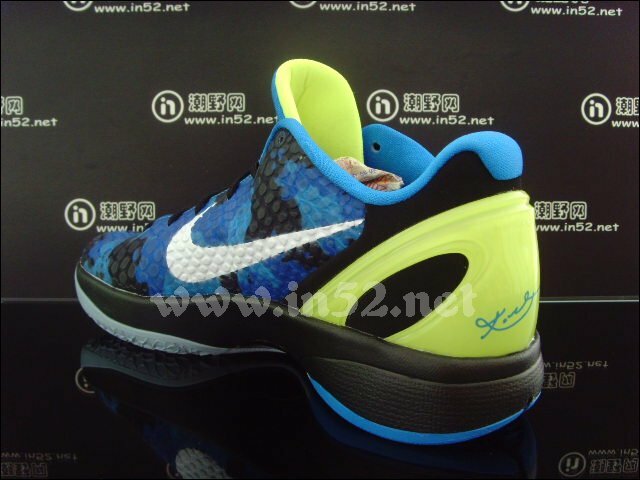 Another look at the upcoming "Blue Camo" Nike Zoom Kobe VI due out this summer. 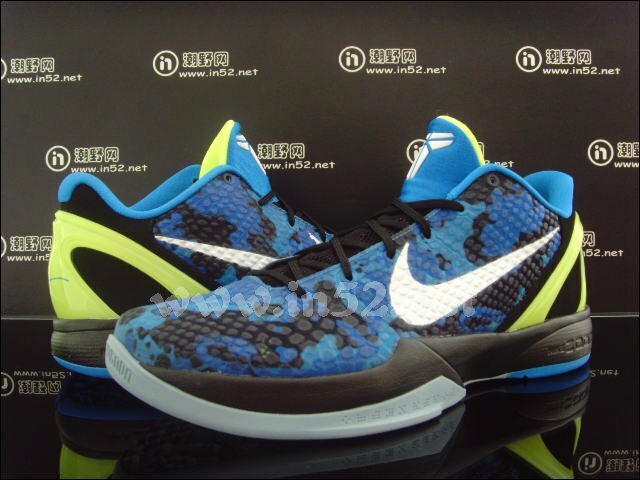 Camouflage options were recently added to the Nike Zoom Kobe VI iD palette, but this look will be unique to retail. 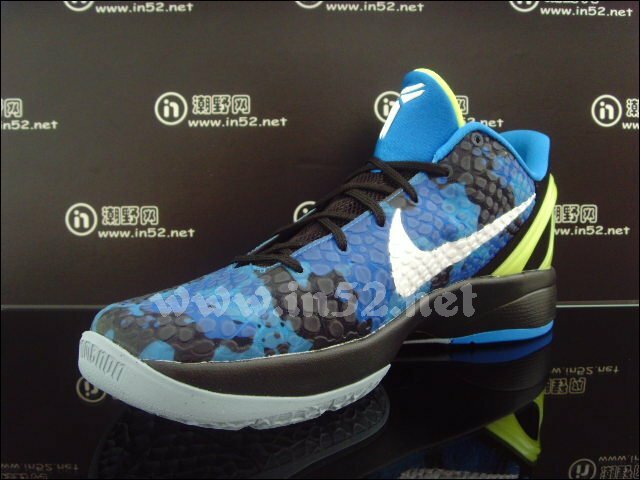 A mixture of blue tones and black make up the camo print on the textured upper, while white is used for Swoosh branding on the side panel and Kobe's Shozoku on the tongue. 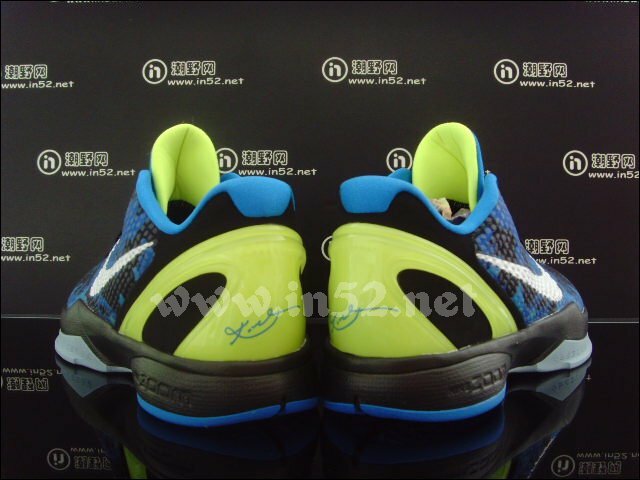 The upper portion of the tongue and inner liner are done in Photo Blue; the lower tongue, heel and midsole are black; and vibrant hits of volt accent the tongue lining and heel counter. 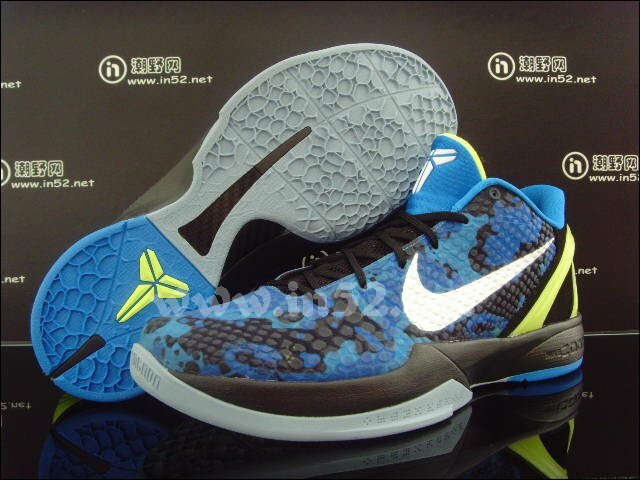 The "Blue Camo" Zoom Kobe VI is due out this summer. 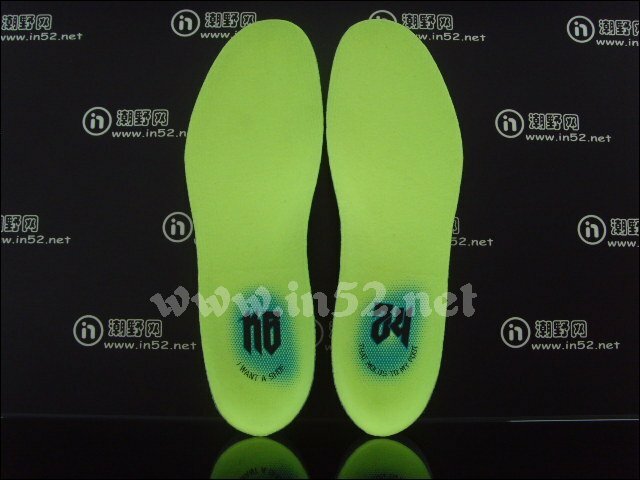 Stick with Sole Collector for updates.